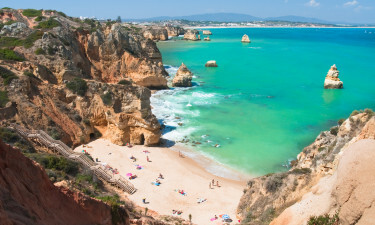 Algarve is found within the southernmost portion of Portugal and has been a tourist haven for centuries. It is respected for its appealing climate, spectacular views of nature and immaculate beaches. LUX-camp is pleased to provide more details upon request. Most luxury camping resorts are equipped with modern conveniences. A sizeable portion of locations straddle the waters of the Atlantic. The weather her is amazing throughout the tourist season. Families can stay in mobile homes (as well as other forms of accommodation). 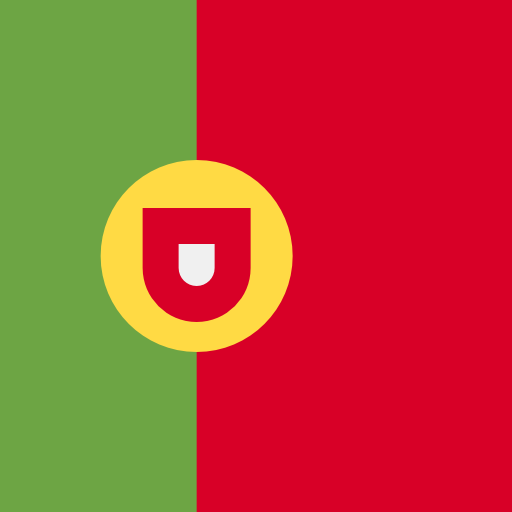 Humans have inhabited Algarve for thousands of years; likely due to such a pleasant climate. Summers here are quite warm and notably free from rain. Likewise, the blue waters of the Atlantic Ocean provide some breathtaking swimming opportunities. The Algarve is known for its wine as well as for numerous attractions such as picturesque cities and a tranquil countryside. Turiscampo provides all of the conveniences of home within truly splendid settings. Found only a short distance away from sandy beaches and caves, this luxury camping resort boasts quite a few choices in regards to leisure activities. Golf, diving, horseback riding and even a change to visit thermal baths are all possible during this camping holiday. The beaches here are popular for families, hikers, joggers and indeed anyone who wishes to feel closer to nature. Many luxury camping sites are found alongside the coast. A few spots not to be missed include Praia de Marinha, Praia do Amado and Meia Praia (literally translated to "half beach" in English). The nature inland is also worth noting. Rugged shores translate into green, undulating hills. Wineries are found here due to the rich soil content. Algarve is known for its Mediterranean cuisine. However, there are also many pasta dishes to be enjoyed alongside freshly caught fish. Many claim that the wines here are unlike any others on the planet. 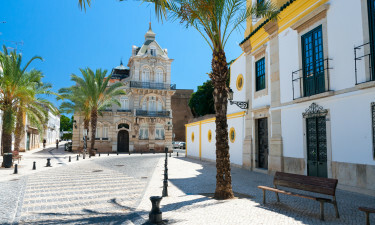 Unique regions such as Lagos and Tavira are famous for producing some truly tasty brands. Many of these will be served up alongside a meal. As with other portions of Portugal, this camping holiday is made even more pleasant due to the openness of the residents here.